MISTAKE 1: Increase your lifestyle and become flashy when God increases you. Beware of the plague of the South-western Nigerian that wants people to know he has arrived, when he is literally still in the elementary stages of financial breakthroughs. MISTAKE 2: Ignoring attacks on your increase. Watch against this attack; Ecclesiastes 5:11 says “When goods increase, they are increased that eat them: and what good is there to the owners thereof, saving the beholding of them with their eyes?” This attack includes satanic increase of needs and personal habits that make you spend your increase. (4) To advance the kingdom of God. MISTAKE 4: The ‘Lagos money’ syndrome. This also applies to every big city in the world e.g. London, Las Vegas or New York syndrome. If you must make your money in Lagos, take it out of Lagos to make more money elsewhere. Any town where you earn a high salary will usually come with a high cost of living. If they pay you a high salary anywhere in the world, there will be many things in your life that are depleting that money. Reverse the trend. MISTAKE 5: The type of business that you are doing is not as important as the heart, the mind and the practices of the business owner. Many people think it’s the type of business that determines the flow of blessing and the flow of wealth. No, it is the heart, the mind and the practices of the owner. You can become a millionaire selling water. MISTAKE 6: Start small, think big. Your goal should be to help and not to fleece people in business. Luke 6:38 says “Give, and it shall be given unto you; good measure, pressed down, and shaken together, and running over, shall men give into your bosom. For with the same measure that ye mete withal it shall be measured to you again.” It is a reflexive law that necessitates you operating with the mindset of a giver. When you operate your business with the mindset of always having something valuable to give, your clients won’t abandon you. 1. Are you in Debt? If you are in debt, it could be one of two kinds of indebtedness: First; “In debt but I’m coming out because of the truth and revelations that I am learning.” Second; “In debt but I’m going deeper because of foolishness and Satan’s operation.” You cannot look from where another person is financially. Vision becomes confusing when you are not approaching it from where you are financially. If you are in debt, ensure you don’t go deeper; instead, start coming out. 2. Are you Buoyant? If you are financially buoyant today, are you becoming poor because of foolishness or you are becoming stronger because of truths you are imbibing? If you don’t have a budget, you don’t know what you spent last week and cannot estimate what you will spend next week, you may be buoyant but eventually become poor. Therefore, you must have a budget and know exactly what you are doing. God is more concerned with what you are becoming than what you presently are. Focus more on what you are becoming by what you are doing or not doing, than what you are. 3. I’m at average level. It can go either way, not blessed not cursed. Don’t remain here. 4. Insufficiency. Here, you are not yet in debt, but you hardly have your needs met. You need to work more with your spare time to increase your streams of income. 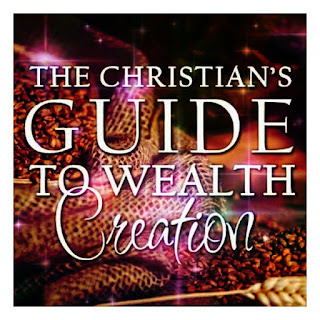 An important principle of kingdom wealth states that, “What is not in your heart can never enter your life.” This principle addresses what Christians need to do in order to activate kingdom wealth. Kingdom prosperity turns on the fulcrum of this principle and you shouldn’t despise it as a believer. Don’t try to work kingdom prosperity while you ignore the principles that fuel it. Ignoring this principle in your pursuit of kingdom wealth is like attempting to drive a car on an empty fuel tank. To store wealth in your heart before it enters your life requires you to get the word of God on prosperity, increase and wealth rooted into your heart. The seed of the kingdom upon which the kingdom of God operates is the word of God. The Bible says,“The sower went to sow” and the seed he sowed was the word of God. When Jesus came, He was the Word of God that God sowed. God sent Jesus as the word and He came as the Word. If you want to work God’s system on any subject in life—including finances, get the word of God on that subject and listen to it over and over again until it is rooted in your heart. Many people want to be prosperous, but they don’t study what the Bible says about wealth and God’s provision for your prosperity. Don’t leave your finances in a muddled-up state or subject your prosperity to guess work. Soak God’s word on wealth into your heart and it will eventually enter your life. 1. Your talents: These are things that you can do effortlessly and more often than not, you can earn money from your talents, when you identify them. 2. Your gifts:Your gifts are endowments that God added to you when He was creating you. An engineer could be a gifted orator, earning money delivering speeches. 3. Your skill: Your skill applied at work brings a salary. Don’t neglect your salary and don’t despise what God has anointed you to do because of a comfortable salary. 4. Your rights in life:You have some rights that come with who you are in the physical side of your life. If you have a right to an official car at work, don’t reject it. 5. Marriage: Marriage confers some privileges and income and you should maximize the wealth that God gives you through marriage. 6. Inheritance: We all have different assets and liabilities in our lives as a result of our background. Don’t reject an inheritance from a natural father or parent, unless it has any form of diabolism. 7. Favour: God brings wealth to you through the favour you have with people. Ruth enjoyed the favour of God on the field of Boaz. You only need to make sure that you know how to maintain your favour. 8. Your connections and relationships: People are becoming something for your sake. Don’t look down on anybody now and treat all men with respect; and when they become people of influence, you have them as part of your connections. 9. Your wisdom: Your wisdom cannot be denied. You have been through some experiences that are peculiar to you alone and when you package some of this wisdom, it can fetch you wealth. Areas where you apply wisdom include the realm of creativity and investment. 1. Attitude is more important than Ability. Most people planning to succeed in life make a critical mistake on the subject of attitude. They work more on their ability and neglect their attitude. It is your attitude that enhances your ability. 2. Attitude is more important than talent. i. The attitude of a supreme athlete (2 Timothy 2:3-6): “…if a man also strive for masteries, yet is he not crowned, except he strive lawfully.” Lawful striving is a command to the athlete. Righteous winning is what you should strive for in any business you are involved in, don’t be content with participating. ii. The attitude of an accomplished first-class soldier. This means you should develop a victory mentality. No accord or deals with the enemy. Focus and single mindedness should define your activities in any enterprise that you are a part of. Don’t fight as one beating the air. When your eyes are single, your whole body will be full of light. iii. The attitude of a successful farmer. Embrace the harvest mentality and work hard so that you can reap a bumper harvest in all your endeavours. The farmer knows how to delay gratification because he plants his best seed in order to have a better harvest in the coming year. Embrace this attitude in your business and vocation and God will visit you. 1.Lord, I refuse self-deception in my life and finances. Help me to see practices that deplete my finances in Jesus’ name, Amen! 2.Lord, deliver me from folly that hinders me from wealth and increase in Jesus’ name, Amen! 3.Lord, I receive the miracle of divine reduction of expenses. I receive the heart and mind that grows business profitably in Jesus’ name, Amen! 4.Lord, I dedicate myself to daily meditation on what You have promised me in Your word until it manifests in my life in Jesus’ name, Amen! 5.Lord, I receive grace to exercise these practical aspects to the wealth You have provided for me in Jesus’ name, Amen! 6.Lord, I embrace these attitudes into the fabric of my life and calling. I refuse to be complacent in Jesus’ name, Amen!